Our Goal is 100% Happy Owners and 100% Happy Dogs! 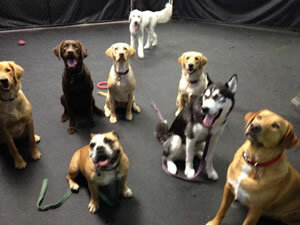 While the Master's away let the Dogs play! No longer do you have to feel guilty leaving your dog alone for long hours every day. 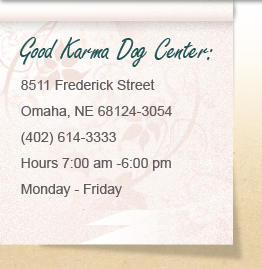 At Good Karma Dog Center your dog will engage in play with other dogs and humans, become well socialized, mentally stimulated and, of course, receive individual love and affection from our great staff members. As a result, at the end of your busy day you will get to enjoy a relaxed and happy dog.